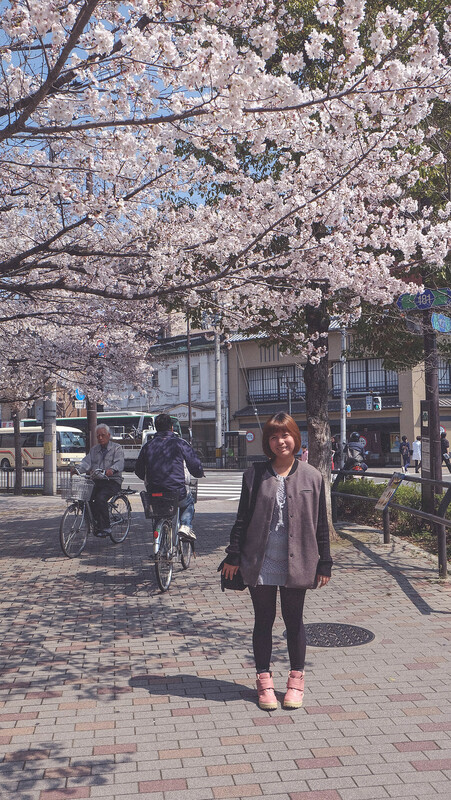 In my previous blog posts, I’ve shared some of our experience in Osaka and Kyoto. 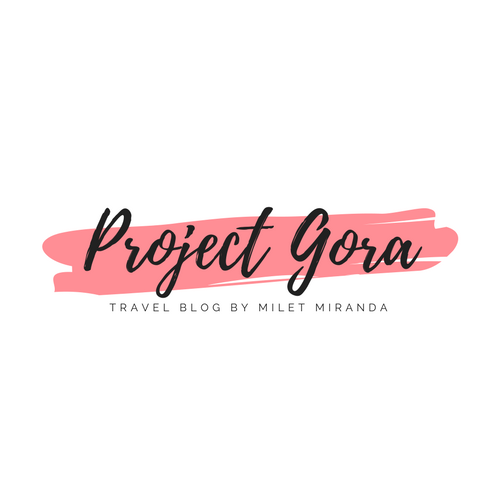 Today, I’ll share with you how we travelled from Kyoto to Shirakawa-go. This part was the most challenging to plan but it was easier than I expected when we got there. I actually had no idea this village existed if not for Japan Guide website. 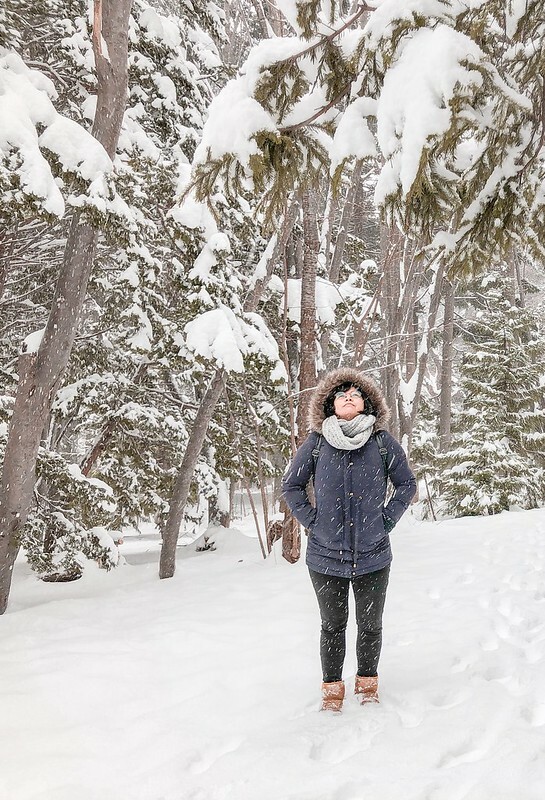 I was searching for an off the beaten path in Japan and Shirakawa-go appeared. I was so amazed with the photos I’ve seen! I was determined to include this village into our 9-day itinerary. Prior to our arrival in Kyoto, Jett and I already known about Maiko Henshin Studio Shiki through various reviews online. 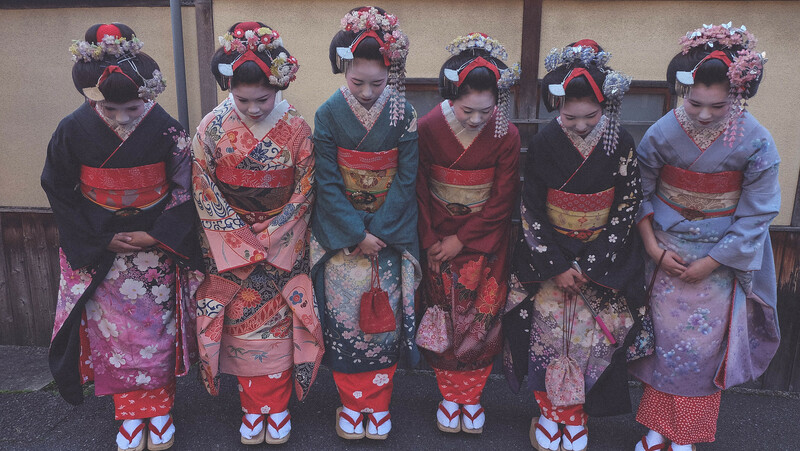 We decided to book our Maiko Transformation with them because they have promotional campaigns throughout the year. 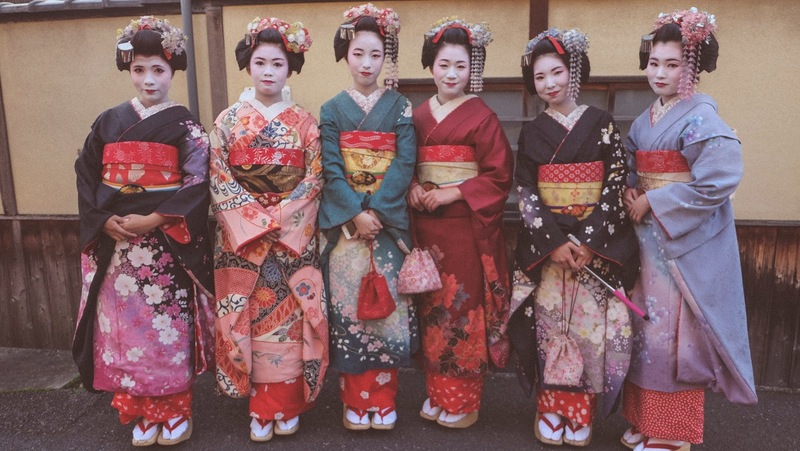 To celebrate the completion of their new head shop in Ninenzaka, they are currently offering the basic Maiko Transformation package for as low as JPY 4,900. We came in on a busy day where there were so many people getting a make over. We did not make reservation as reviews say we can just walk in. Upon reaching the studio at Ninenzaka, we immediately went to the reception and inquire if they can still accommodate us. The receptionist explained they still can but it would take 3 hours for the whole process. I was a bit hesitant when I heard this. But then, it could be my last chance to try this only-in-Kyoto experience so in the end I signed up for the basic Studio plan. The thing about their promotional campaign is that they will not promote it to their walk in customers unless you ask. Good thing, we told the receptionist right away that we are going to sign up on their promo online. #Sigurista here haha! The other customers we met do not even know that promo! if you are interested in this basic plan just be reminded that you have to pay for the socks and there is an extra cost if you would like to get the half wig. Basically, you have to pay for anything extra haha. The process will start and end in the changing area at the third floor. Firstly, I got stripped down to my underwear, had to wear a thin robe and washed my face to remove make-up. Then we waited in the second floor for our make over. We waited for like 40 minutes and it could have been enjoyable if they play us a video about the history of Geisha and how it started. I was hoping for Memoirs of a Geisha actually. Instead, we were forced to watch a vintage american film. I kinda die of boredom! This lady is not me. Just want to show you guys how the wig is being applied. When our names are called in the make up area (they called us Maria Sama and Jett Sama! SQUEAL! ), I got very excited! The make up part was actually my favourite. My make up artist applied a solid oil like a wax all over my face, my neck and my upper back. I was absorbed in watching her. She was so accurate and fast. When the make up base is done, it is time for Shironuri (the white make up). Waah. This is what Minori, a famous Shironuri artist in Japan, is wearing all the time! If you don’t know her, click this link. Don't be shocked with her photos okay? She's not crazy! 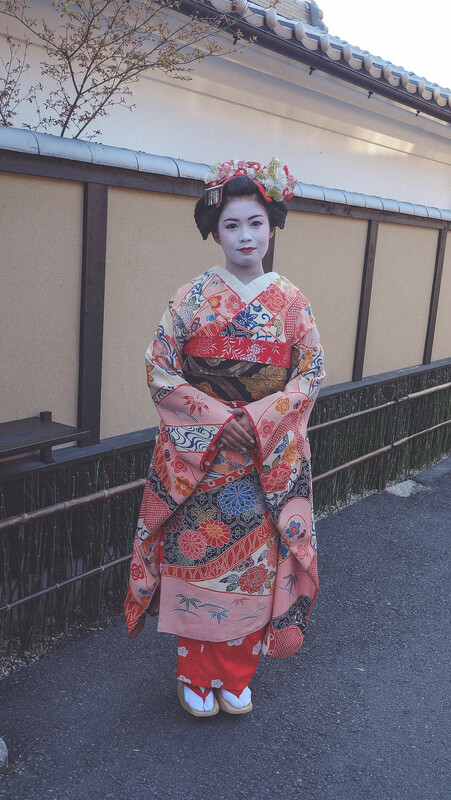 My make up artist started painting a silky white base to my face and neck, I felt like I was really a Maiko. She applied the white base meticulously, with careful brush strokes to my eyes and lips. 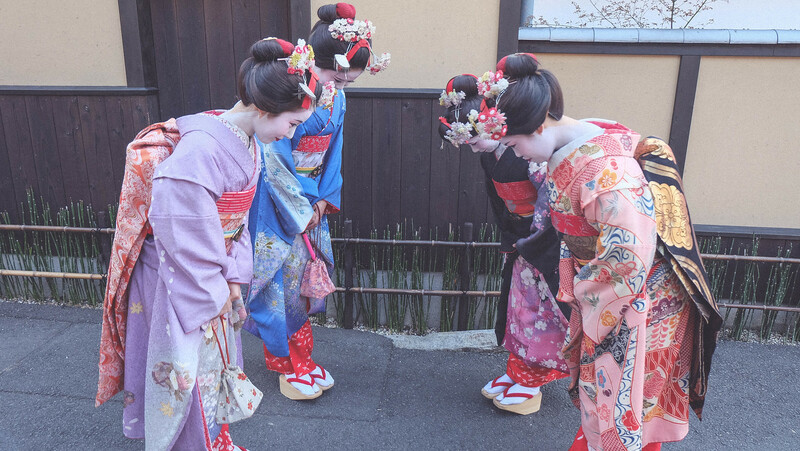 Then she started to draw the Maiko’s trademark, the V-shaped pattern on the back of the neck. When I opened my eyes, I could no longer recognize my self! She also used face powder on my skin with a sponge to make sure texture is even. She painted the corner of my eyes in red and applied mascara. We were taken to the wig area afterwards. The half wig is lighter and it looks natural. To blend real hair and a half wig, a special black dye will be applied. The full wig included in the basic plan is very heavy, I should have upgraded it to half wig. 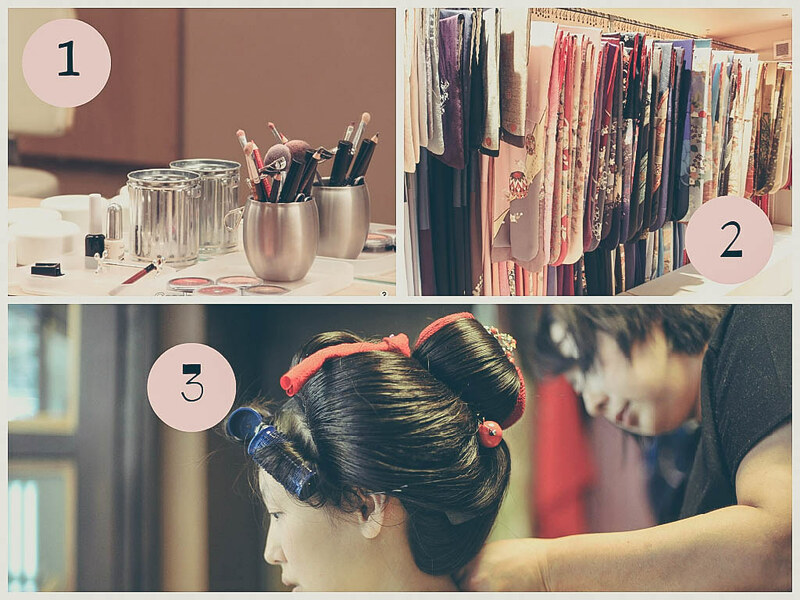 After they carefully placed our wigs, we were taken to the Kimono dressing area. I was assisted by a Kawaii lady and it was amazing how she took control over me. She was very strong SRSLY! She managed to push, pull and tuck everything. My breathing becomes laboured because I was tightly wrapped with so many cord and obi sash. I should have asked her to loosen it a little bit but everything happened so fast! I felt like I was going to pass out anytime because of poor oxygenation! Just a reminder, make sure your bladder is empty before you put on your chosen Kimono. While encased in a Kimono, it will be extremely difficult to use the toilet. I did not get the need to use the toilet, but I was already restless because I can’t breathe. I moved a lot so I can find a perfect posture that will enable my lungs to expand. It was amazing how none of the cords came undone! Thank the universe we did not wait long for our photo shoot. Our photos were taken by a professional photographer in a studio. After 6 various poses, we were assisted outside for our additional shots. I availed one extra shot, whilst Jett availed two. Afterwards, they let us take some pictures by ourselves with our own camera. 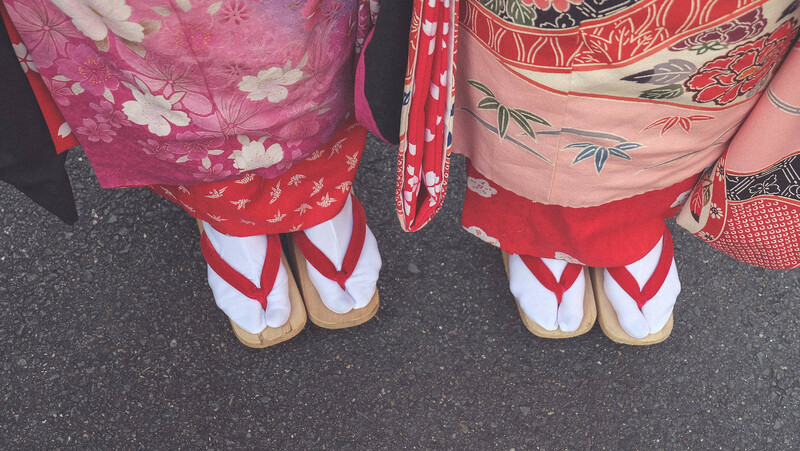 The Kimonos Geisha/Maiko wear are crazy expensive that’s why they had to wear platform slippers to avoid it getting stepped on. To think they could perform and walk gracefully in these heavy Kimonos and high slippers is quite impressive. Can you imagine doing that every night and day of your life? 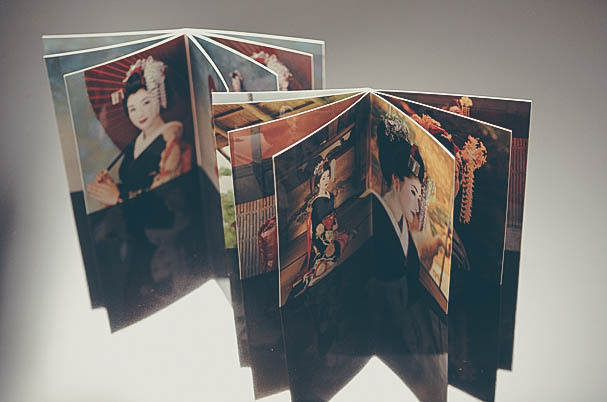 The basic plan includes Make up, Full wig, Kimono of your choice, 6 studio shots and 10 minute free time for taking your own photos. We actually spent 30 minutes strolling outside the studio. It was busy that day so I guess they did not monitor how long we stayed outside using our own camera haha. When we finished taking photos, we went back to their changing area and removed our make up. We went back to the receptionist to pay and collect our photo books. All in all, I paid a little over JPY 7,000. So in a nutshell, I can say that it was an awesome experience. 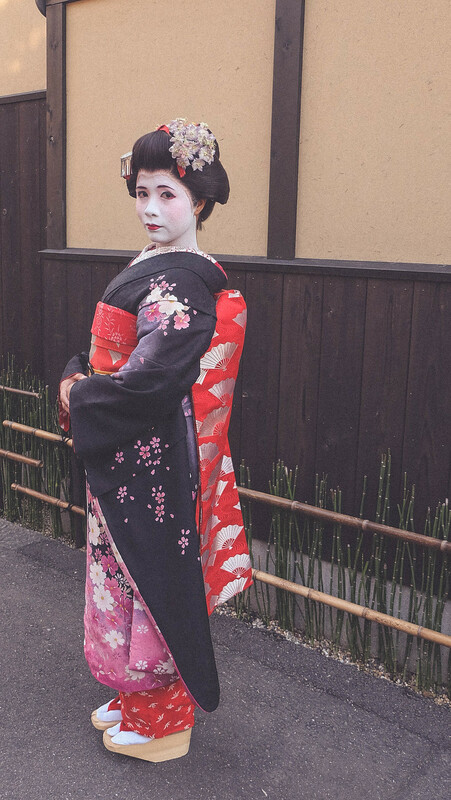 I know some people think Maiko Transformation is very tourist-y and does not really give you the basic idea of the history of Geishas and the Kimono, but really I was thankful I did go. Thankful because of the the few good laughs we had during our transformation, our crazy experience walking in the streets and meeting other nice ladies. 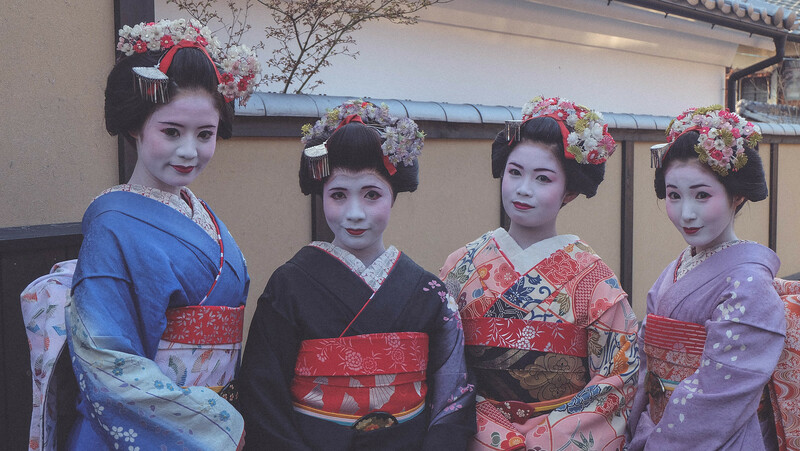 Have you seen our Geisha-ing video yet? If not, you can check it out right here. Geisha-ing in Kyoto, Japan from Milet Miranda on Vimeo. 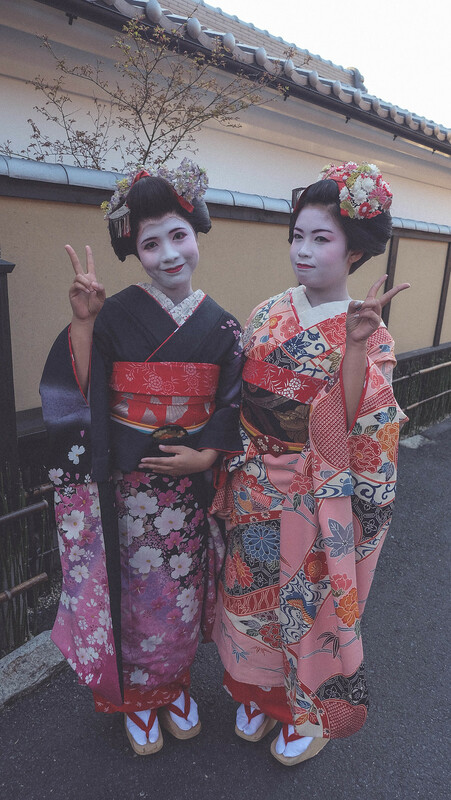 I will be posting our Maiko Transformation experience soon! I hope you enjoyed our short video! 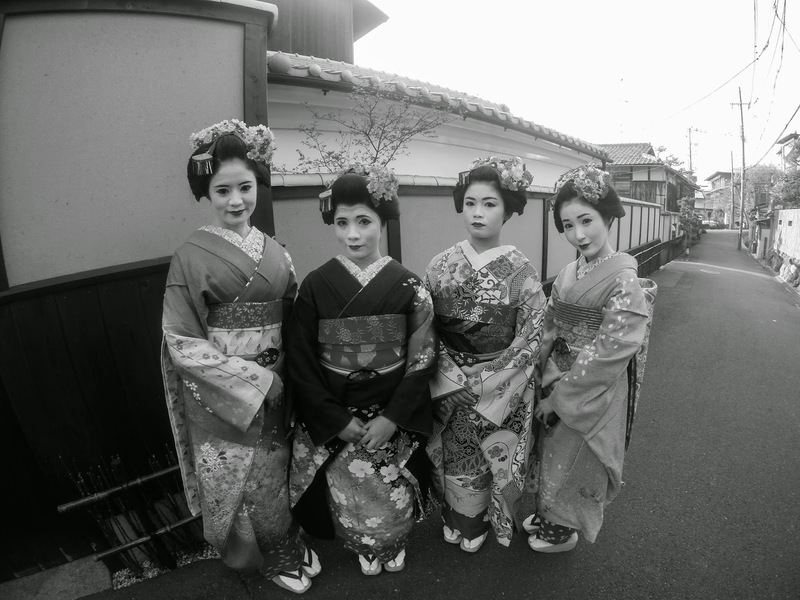 I definitely recommend visiting Kyoto’s Gion district. 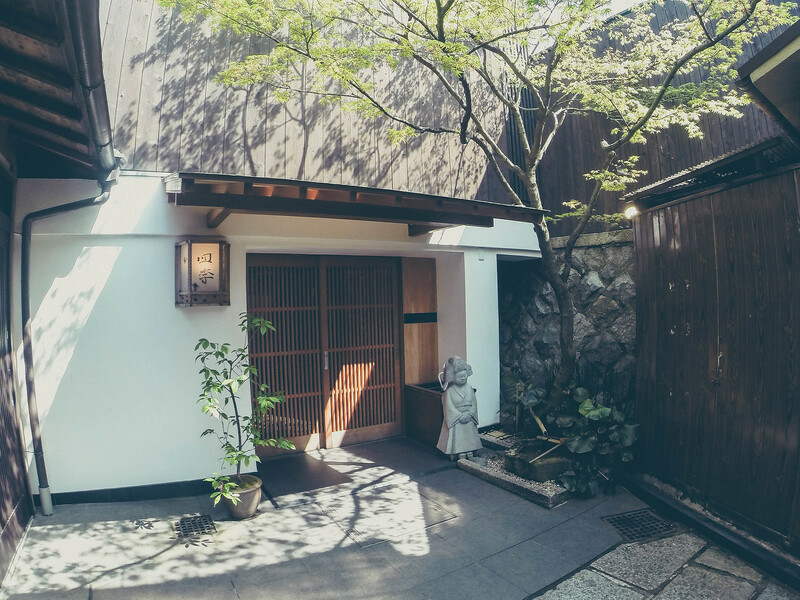 It’s a beautiful place to explore and of course a great place to go on a Geisha hunt. Have a great one, everybody! :) Sayonara!